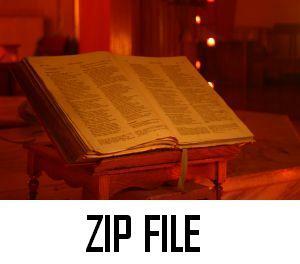 In order to view the Bible texts used on this project on your computer you will have to right click on the pictures labeled with "ZIP FILE" at the bottom of each modules. You will have to download the file unzip and then to use the database. Next, you have to install the software available at the following Internet address http://vrsoft.org.ru/english/unbound.shtml , or better at ub-setup.exe. After the installation, the Bible texts above mentioned will be moved / saved on the folder named "Bibles" within the folder where the software was set-up. http://www.unboundbible.org/index.cfm?method=downloads.showDownloadMain you will find many other modules that can be used with the above mentioned software.